In a pan, add 2 tsp of oil. Add onions, crushed ginger-garlic and green chilies into it. Sauté till it turns its color. Add tomato and dry curry powders (chili, pepper, masala) and sauté. Add required amount of salt, coriander leaves, curry leaves, chicken pieces, and sauté again. Add the chopped parotta and mix it well. 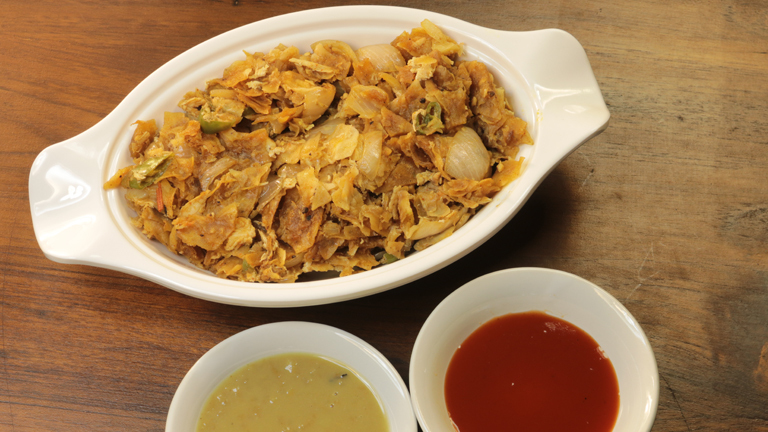 Tasty kothu parotta is ready.